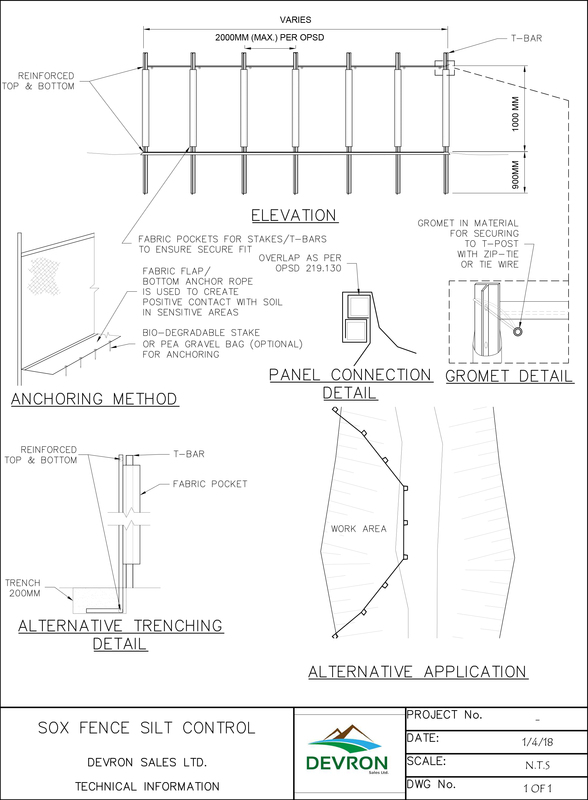 SoxFence was specifically designed to mitigate silt/sediment for perimeter control. 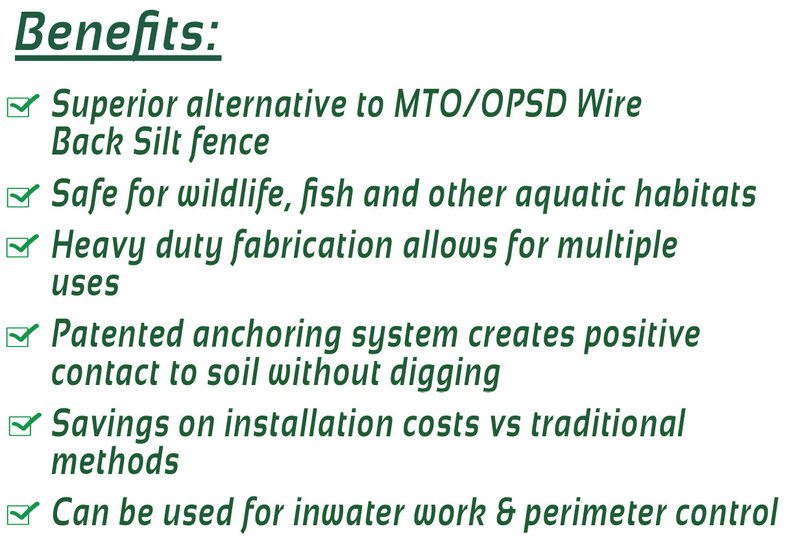 With in-water works applications, it creates a safe and healthy environment for wildlife and aquatic habitats. 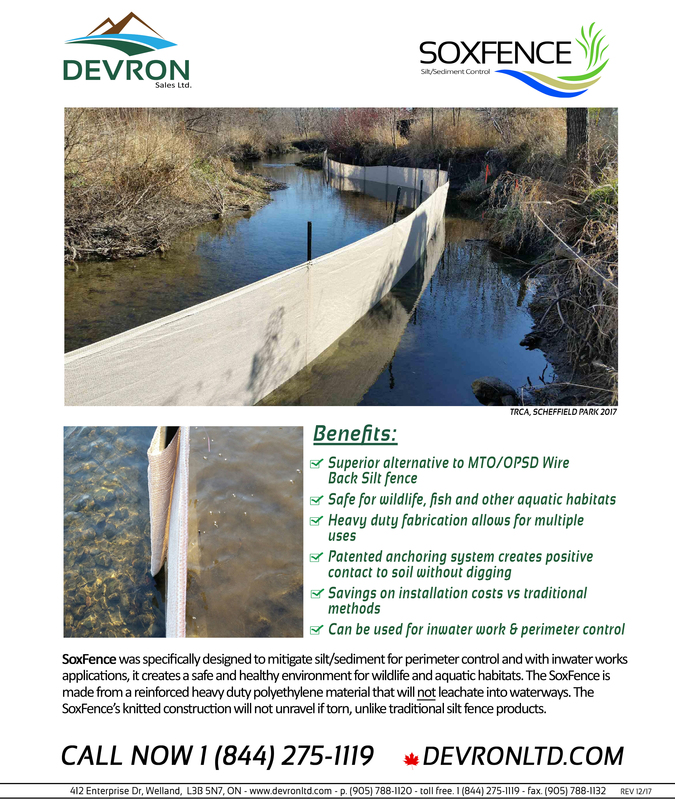 The SoxFence is made from a reinforced heavy duty polyethylene material that will not leachate into waterways. The SoxFence's knitted construction will not unravel if torn, unlike traditional silt fence products.